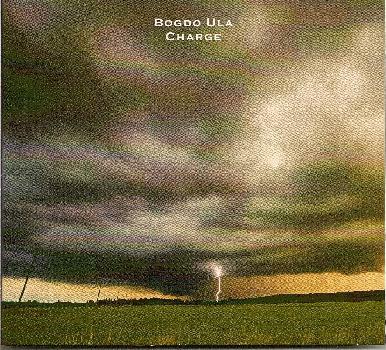 Bogdo Ula - "Charge" / "Aerograd"
From Finland, Bogdo Ula is the trio of Samuli Kristian on guitar, Ivan Horder on drums and bassist Jean Ruin. 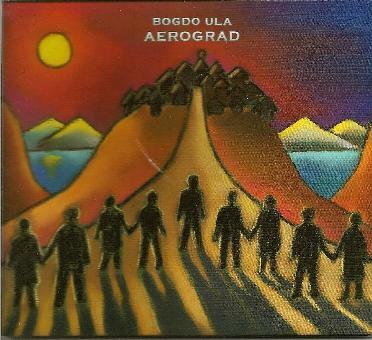 "Bogdo Ula uses free improvisation as a tool to express and convey emotion through music." CHARGE: Big heavy fusion rock, nice full sound, no vocals. Actually very pleasant so far! Only minimal visions of Musician and Guitar Player magazines staring back at me with their ugly Satriani and Malmsteen faces!! ULTRAVIOLET: I appreciate the improvisational spirit that has gone into these tracks but for my personal tastes it's too much in the 70's/80's mentality of macho guitar gods dressed in their black leather, swaddled in 4 necked 54 string guitars that cost 2.5 million dollars that once belonged to Yngwie's master teacher... Tho it's pleasant and very well done!? OMNOGOVI ZONE: I do appreciate that there are no ominous growly cookie monster vocals and that the music is simple and heartfelt! Some very pretty moments on this one. KLOBAR: More uptempo frenetics... quite a wall of sound for a trio. These guys would probably blow yer socks off live!?! STRATOSPHERE: More atmospheric abstract music in the "stratosphere"... I'm floating in space and can't find my lighter.... picks up the pace.... I found my lighter and I'm heading for the next planet. AMETHYST ROCK: Yes, it "rocks" like an amethyst...?!? More artful rocking that starts to be a bit noodley and samey! But if this is yer thang then it could never be too much!? PROTO-SUN: Again, we are floating thru jazz fusion space heading straight for the Proto-Sun but I will not burn up because the spirit of Frank Zappa has made me a protective "floating in space towards the sun" suit... yes, you have to have one out here... okay the "Guitar Player" magazine demons are starting to get me. NAUTICAL TWILIGHT: Yes, more of the same, I just don't know what to say, I surrender!!! Alternative/punk etc. never existed in this world. RA-UNION: Kinda cool, very retro... ya know I'm a good natured sort but I have to say this isn't Aurally Innovative, pleasant, well done, yes but... OLYMPIC WHITE: Last song, cool sound, late nite stillness... nice spooky slow, maybe I've been too harsh on these guys?! Nah!!! !